Another year has come and gone, and like most other companies, we at Lucidchart have taken some time to look over our triumphs from the last 12 months. We took home awards, sent 300 people to Bear Lake for some serious team bonding (and for raspberry shakes), sponsored new events (hello, Dreamforce! ), and became all too familiar with DoggoLingo. But let’s get down to the information you care about—how did we improve Lucidchart in 2017 to create a better experience for you? Take a look at the 10 biggest updates we released. 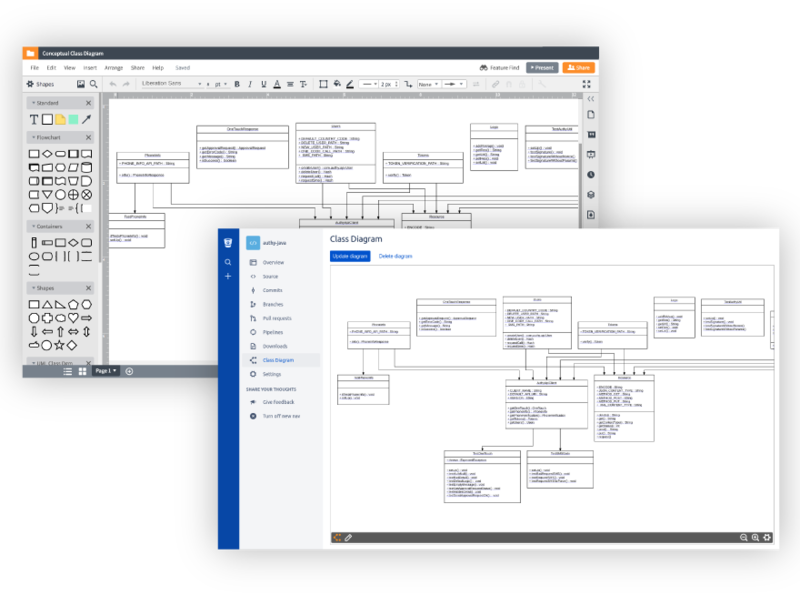 For the full overview of the updated editor, read our blog post, or start diagramming and check it out for yourself! Not only did we make the editor more powerful and intuitive, but we also made it more accessible for users in other countries. 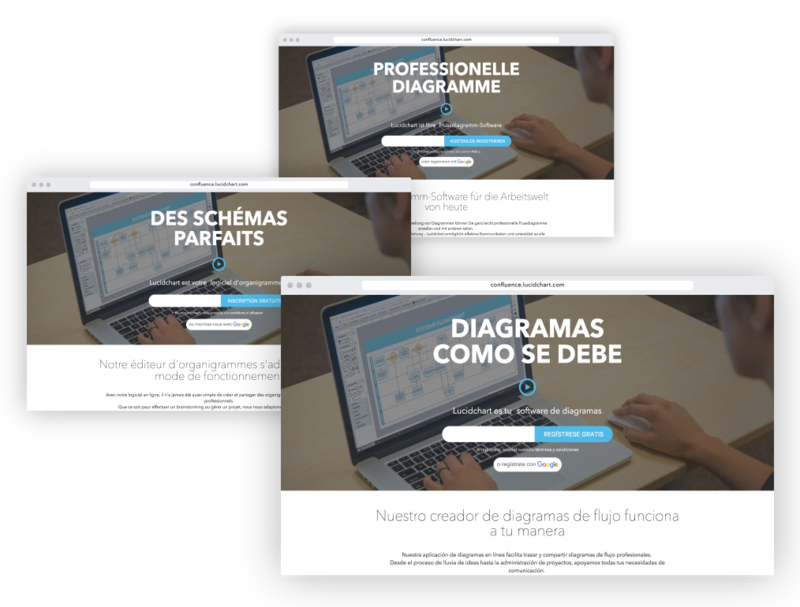 Lucidchart was released in Dutch, French, German, Portuguese, and Spanish, so thousands of non-English-speaking users could diagram in their own languages. Lucidchart will automatically detect your browser language, but you can change your language at any time from your account settings. 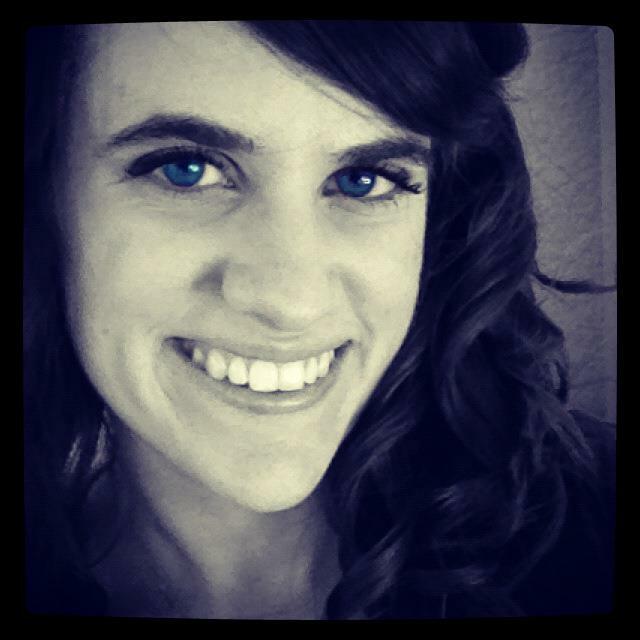 Want to visualize your data without spending a lot of time maintaining documentation? With data linking, you can connect your shapes to live data from imported spreadsheets—as you make changes, your data will update in Lucidchart. Click the button below for full instructions and an instruction template to get you started. Once you have connected data to your diagram, you can set rules to easily interpret that data and monitor the health of your company or systems. Lucidchart currently offers two types of conditional formatting. You can set rules to change shape and line color, style, and width, or with shape data graphics, you can set rules that attach icons like colored circles, checkmarks, and warning signs to your shapes. Give it a try, and see where you can apply conditional formatting on your data-driven diagrams! In 2016, we created the AWS import tool—instead of manually creating shapes and entering metadata, engineers could enter their AWS credentials or run a bash script to pull in their AWS data, including the appropriate shape types, names, and relationships between components, and drag and drop those components onto the canvas. In 2017, we went a step further to eliminate all manual work and save engineers hours and hours of time. Lucidchart will now automatically lay out each of your VPCs as a network topology diagram. At Dreamforce this year, Salesforce announced the Quip Collaboration Platform, where teams can collaborate and keep content and conservations within one live document. 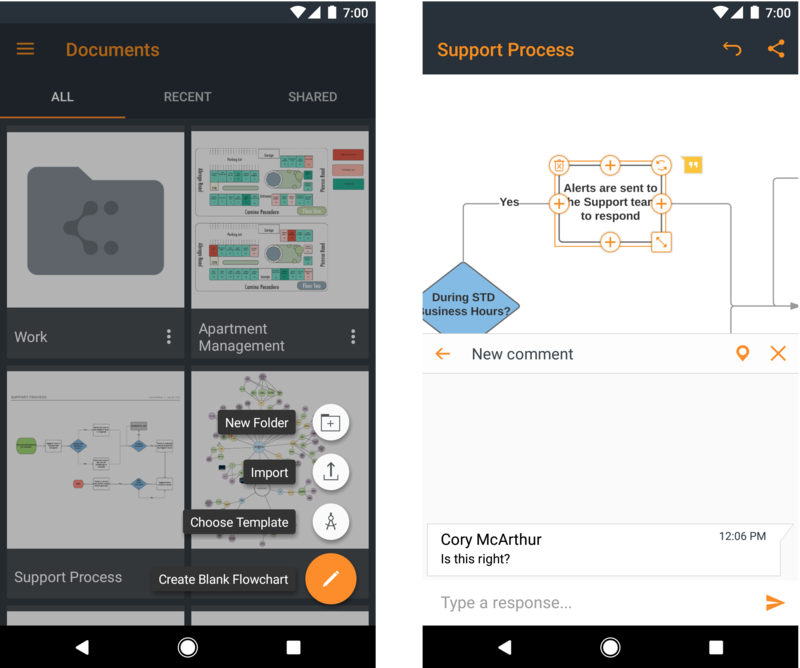 And since “collaboration” and “single source of truth” are buzzwords around the Lucid office, we partnered with Quip to provide an integration where you can add your diagrams to Quip documents with the command @diagram. Pair influencer maps with Salesforce records and other account information, or add user journey flows to your ongoing conversation about a new feature. If you haven’t noticed, a lot of our feature releases have involved automation. We want to make it as easy as possible for you to turn your ideas, processes, and systems into easy-to-interpret visuals, and our latest Atlassian app falls right in line with that goal. Our Bitbucket integration empowers you to generate UML class diagrams straight from code stored in Bitbucket. Now you’ll have a way to easily reference source code for training or implementation without the tedium of building these complex diagrams. Lucidchart has partnered with Google to create several integrations, so when Google launched Google Slides add-ons in 2017, we were definitely on board. Use the Lucidchart add-on to insert your diagrams and create more engaging presentations. After all, no one wants to stare at a block of text. Create and edit Lucidchart diagrams. Accept invitations to view or edit documents. Don’t fret—we haven’t forgotten about the Apple fanatics. We made several important updates to our iOS app, including the ability to comment on diagrams. Even when you’re away from your desk, you can still approve or give feedback on workflows, system architecture, etc. If you haven’t downloaded Lucidchart for your iPhone or iPad, now’s the time. Find us on iTunes, and put advanced diagramming in the palm of your hand. We’re proud of the progress we’ve made in 2017, but we’re not wasting time patting ourselves on the back—our engineers are already working on new features to further increase productivity and clarity at companies around the globe. Check back with our blog to see how else Lucidchart will help you work visually.